With Holiday Season now upon us and the kids now counting down to our own family holiday, I thought I’d share some of our tips for Holiday Packing for our large family. This year will be our 5th time holidaying as a family of 7, and we’ve picked up a few tips and habits over those years to make things run as smoothly as possible. Our car is a standard 7-seater Vauxhall Zafira, and as any Zafira-owner will tell you, they have tiny boots once all 7 seats are up. We have a roof box which we use when we go on holiday, but even so, we still need to be careful not to overpack – no taking the kitchen sink on our trips! These tips help us save time, money and space when it comes to our Holiday Packing so I’m hoping that they could help others too. Only take what you’re actually going to need – before I start packing, I mentally run through what we’re likely to be doing during our holiday and write down what we will need while doing it. Then I go through the list and only pack what we’re actually going to need. There’s no point taking a stack of fancy dresses if we’re going to spend most of the week zip-lining and swimming! 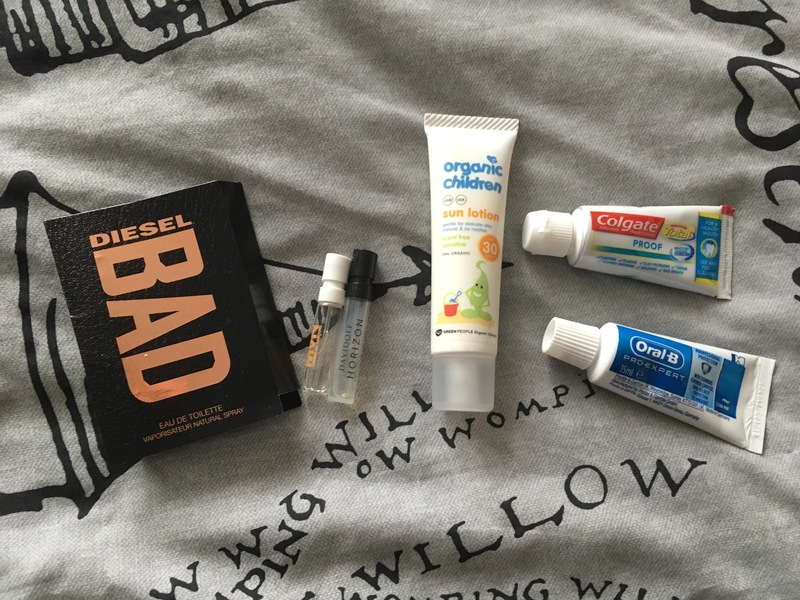 Free Samples – don’t waste your money buying the over-priced travel-sized toiletries in the shops, apply for free samples instead. The site Latest Free Stuff is great for claiming free samples. I apply for them throughout the year and just save them up to take on holiday. Our Dentist always has a box of free sample toothpastes on her desk so we always take a few of them the visit before we go away too. Perfume and Aftershave Samples – these are perfect for holidays. No need to worry about your normal bottles breaking or leaking in your luggage. You can use a different fragrance every day and just throw the little vials away once you’re done. They take up literally no room in your luggage too. 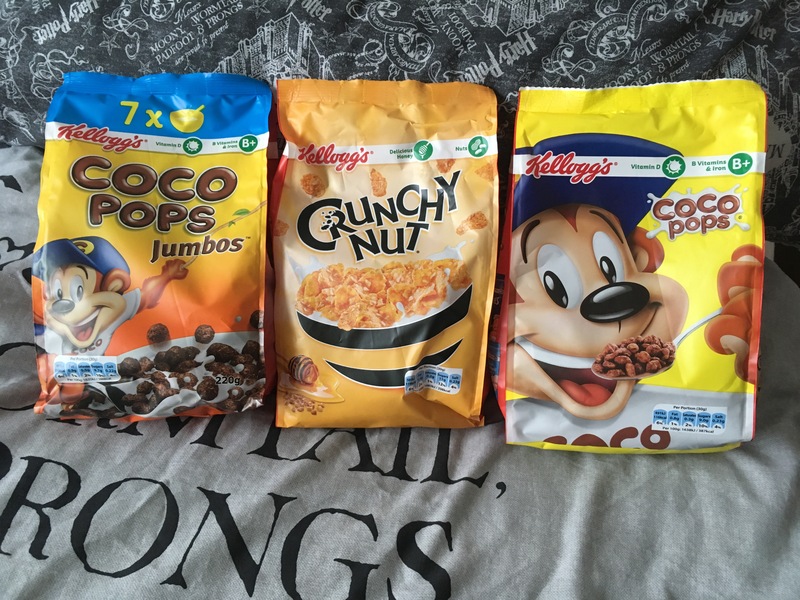 Cereal Bags – we don’t have the room to take much food with us so tend to buy it once we’re there, but there are a few staples we do like to take with us to save on costs and for convenience reasons. Most people will take the little Pick-a-Pack cereal boxes on holiday, and whilst these are great if you only have 1 or 2 young children, they’re not so convenient when you have 5 kids including 3 hungry teenagers who will groan at the teeny portion sizes! We buy these bags from our local Pound Shop, but you could just as easily just take the inner bag out of a normal box of cereal. They’re better for choosing portion sizes right for you, reducing waste and there’s minimal packaging to dispose of too. 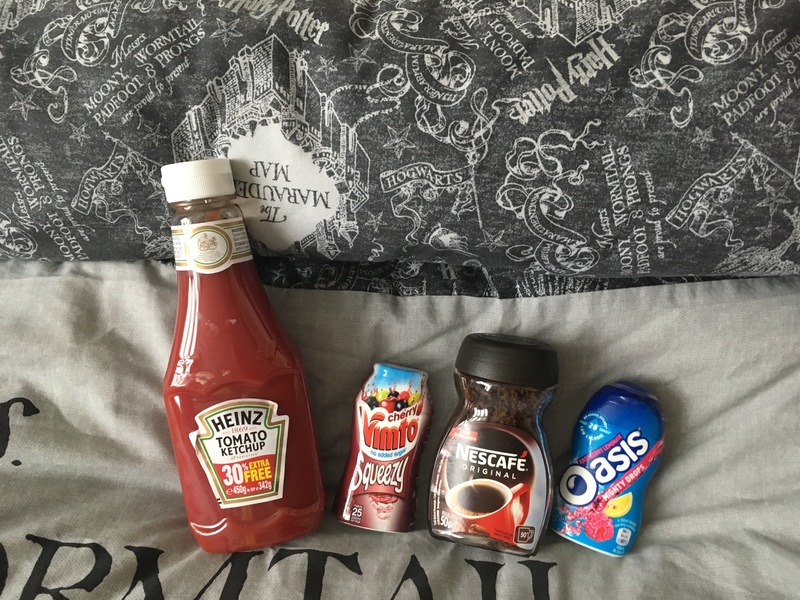 Discount Shop Bargains – as I said above, there are a few staples we do take with us food & drink-wise, and we’ve found the best place to pick up convenient travel sizes of these is our local Pound and Budget Shops like Poundland and B & M. These mini bottles of our favourite Nescafé, Heinz Ketchup, and condensed fruit squashes cost £1 each and are just the right size to last us while we’re away, again minimising cost and waste. 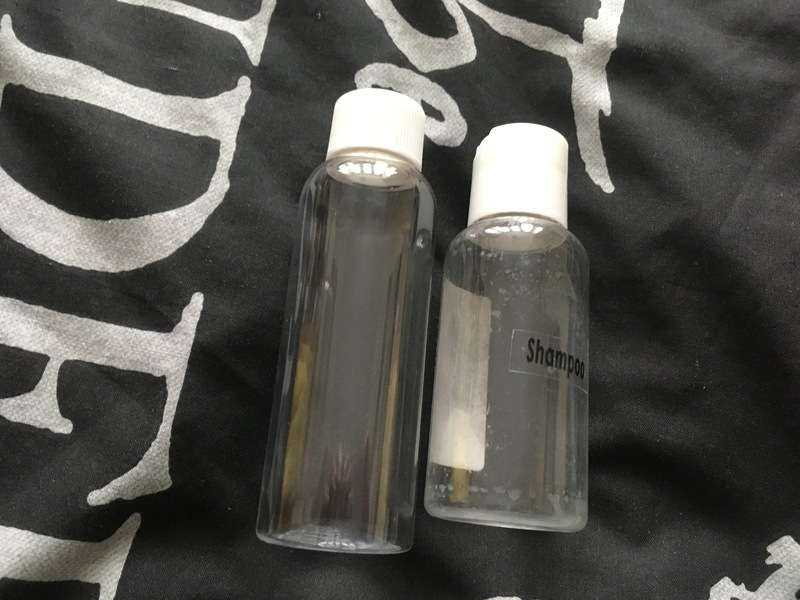 Re-fillable Bottles – these are great if you have something you want to take a small amount of with you, but don’t want to have to take a full-sized bottle and can’t/don’t want to get a travel-sized version. We use them for things like washing-up liquid and picked up the bottles themselves in a pack from our local Pound Shop. Plan Ahead – if you want specific travel-sized brands to take with you then plan-ahead and utilise deals out of season. Supermarkets usually have sets of travel-sized branded toiletries on offer in the run-up to Christmas. Tesco sell these mini Lynx and Dove gift sets for half-price just before Christmas, at £1.49 & £2.50 a set, so I buy them as stocking fillers and we keep them to use on holiday. It’s a way of getting the travel-sized toiletries without paying the over-priced prices charged in the summer months. Utilise Out of Season Sales – I like to pick up new Summer clothing like Crocs, Sandals, Shorts and t-shirts at the end of the summer season when shops like Sports Direct sell them at massively reduced prices as they make way for the new seasons ranges. Then I just put them away until they are needed. Take older Pyjamas, Underwear, Towels etc. with you – most people will buy new underwear etc. to take on holiday with them. We buy new items before we go away but we leave them at home and take the older stuff with us. For outer clothes like dresses/shorts/t-shirts/socks/the towels we take to the swimming pool/beach etc. we use our new/good items. But the things that no-one can see, like Pyjamas (no-one will see you wearing them), underwear and the towels/flannels/tea towels that stay in the caravan, we take the older items that are likely destined for the bin anyway. Things that are getting a bit small, elastic going on the waistband of your pyjamas, towels that are getting a bit tatty around the edges etc. Used underwear and towels, and tatty pyjamas are no use to the charity shops, so they would only end up in the bin anyway. We take a black bag with us, then at the end of the holiday we will throw away the old items rather than bring them home with us. This usually results in a whole hold-all less washing to bring home with us! Everyone hates doing the post-holiday washing! I hope these tips could help you save a bit of time, money and space on your holiday packing. Do you have any holiday packing tips to share?